Quitting cigarettes is hard. One way to make it a little easier is with text messaging programs, like Text2Quit. How much easier? Possibly, twice as effective. This new data comes courtesy of a study published in the American Journal of Preventative Medicine. 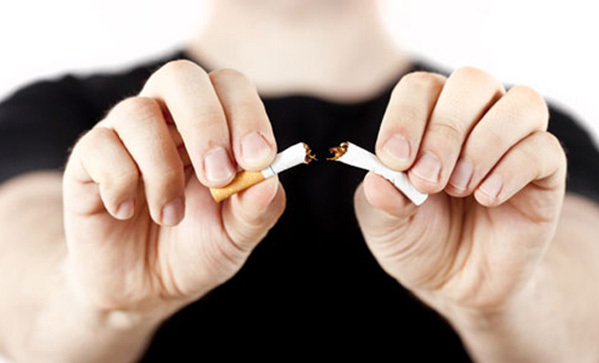 Researchers recruited 500 smokers and had half of them enrol in Text2Quit, a service that sends smokers periodic, interactive anti-smoking messages, and had the other half try and quit by reading self-help material. Six months later, they surveyed who had actually quit, verifying results with saliva swabs. The control group only had a quit rate of five per cent, but the Text2Quit group managed eleven per cent. See, we told you quitting cigarettes is hard. So, want to quit? Maybe reach for that cell phone—just not while you’re driving.